Aziz conveys the conflicting feelings that parents can hold simultaneously, offering an enlightening read for new parents. 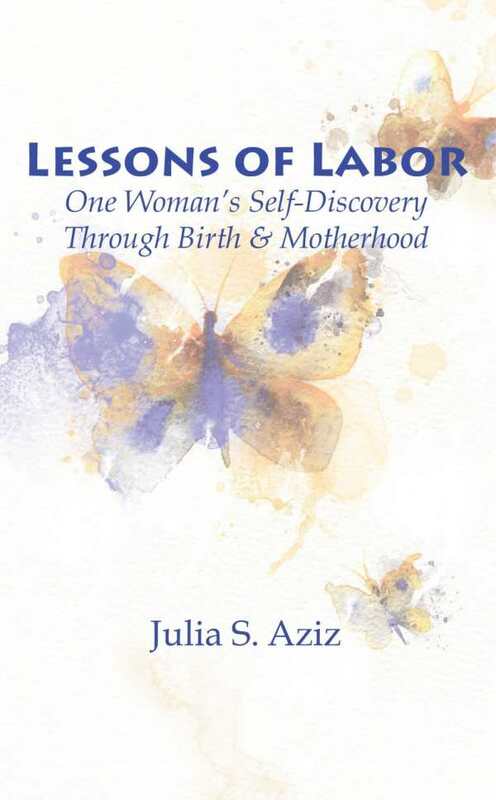 In her simple and straightforward memoir, Lessons of Labor: One Woman’s Self-Discovery through Birth and Motherhood, Julia S. Aziz relates her stories of experience and the universal life lessons they taught her. The little vignettes from each birth and a miscarriage are translated into everyday messages of guidance and how they later related to lessening the stresses of parenting. Aziz emphasizes that this is not a parenting book, but it would be difficult to read the boldface affirmation-like realizations and not think of how to possibly work what the author has learned into one’s own daily life. Not only does Aziz show how a seemingly trivial decision can have a profound effect on perspective, but she also shares how each experience is unique and how no two births are the same. The author at many times notes that each parent and child is different and that what works for her may not work for others. Writing about how her choices differed from those of other women she knew is a great strength to this book, as she is not judging or lecturing but allowing and sympathizing. Aziz writes in a casual style, unafraid of letting herself shine through the pages. Her stories and lessons are short and concise, but while purposeful, they often lack the emotion she speaks of. She mentions pain and joy, doubt and relief, but the superficial nature of each anecdote gives a feeling of just skimming the surface. However, she presents the complicated and conflicting feelings that only a parent could understand, even noting the absurdity of having those feelings at the same time. Whether you are a new mother or a spouse supporting your partner, the stories related within this memoir are a wonderful window into the life you are about to embark on. For seasoned parents, the flood of memories can be profound. Lessons of Labor is a good read for anyone open to the idea that the greatest teachers of life are often the ones who are the newest at it.